Mom's Gone Bronson! 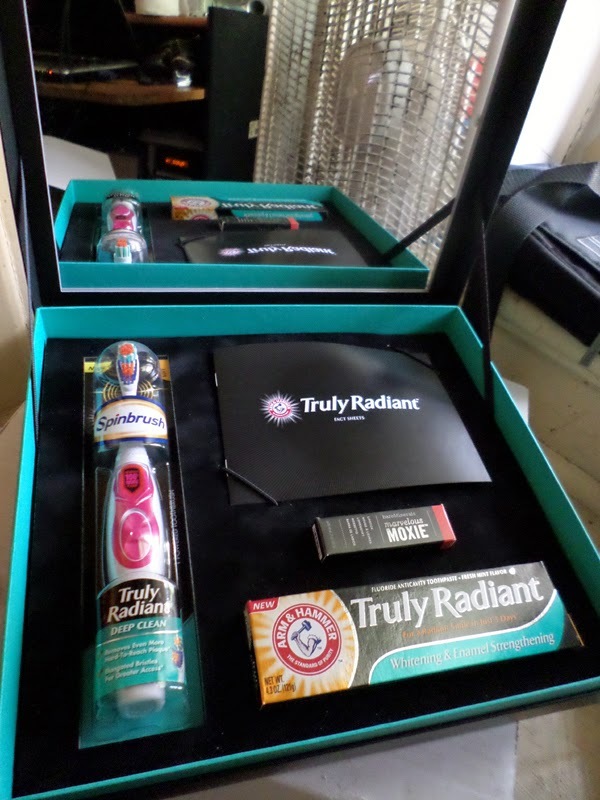 : Arm & Hammer Truly Radiant Toothpaste and Spin Brush, Look-See! Arm & Hammer Truly Radiant Toothpaste and Spin Brush, Look-See! Summer is here and, while we search for that perfect summer dress, make up (or look) we often forget about our teeth! A whiter, brighter smile can be the different between looking great and looking spectacularly radiant and that is where Arm & Hammer wants to lend a helping brush! For a week or two now I have been using Arm & Hammer's Truly Radiant spin brush and toothpaste, to see if it would improve my smile! 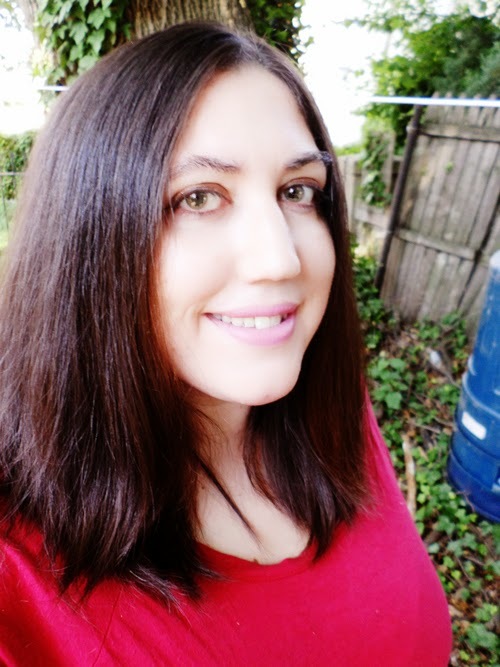 My teeth aren't too bad to begin with, but I do drink a lot of tooth staining beverages and had been getting a few spots on my teeth with the toothpaste I had been using, which I wasn't sure was doing the best for me, personally. I have purchased other Arm & Hammer toothpastes in the past and like the idea of baking soda in the toothpaste for help with the clean as well as the way it tastes - it is certainly a unique taste that is not over-bearing and is comfortable to use. I think the spin brush is quite powerful for a regular sized battery operated brush, even when compared to the rechargeable toothbrush I had been using prior. It reaches up, in and around the mouth without poking or prodding the gums and I have certainly felt very smooth and clean after brushing! After just over a week using Truly Radiant, I can say that I do feel like my mouth is thoroughly clean and looking good! I will continue to use it over the coming weeks and let you know how it goes! So far, so good! Disclaimer: I was provided with products to review, free of charge, but was not otherwise compensated for this post. All opinions are open, honest and my own. Your views and experiences may differ! Thank you! I am happy that you saw results so quickly! You have an amazing smile. I am also happy to see that you have seen result so fast! You have an amazing and bright smile. Thanks for sharing.